Europe’s most advanced healthcare warehouse! The new VTS warehouse is fully optimized for the storage and processing of pharmaceutical / healthcare products. The warehouse storage offers capacity up to 26.000 euro pallets in multiple temperature zones. 100% temperature control also applies for our crossdocking areas to secure your products will be (re) loaded without any interruption of ambient or cold chain regulations & requirements. Two storey floors, totaling 1.200 m2, suitable for Value Added Services. We have more than thirty years of experience with the temperature-controlled transport and storage of pharmaceutical and healthcare products. Our new, state-of-the-art warehouse in Boxmeer allows us to further expand our portfolio of logistical services for medical and pharmaceutical organisations. If you want to know more about the possibilities of the new warehouse, download the whitepaper Europe’s most advanced healthcare warehouse. With 240 employees, buildings in Boxmeer (Netherlands) and Goleniów (Poland) and a modern fleet with track & trace systems, VTS Transport & Logistics takes care of transport for leading pharmaceutical companies. With the new warehouse VTS will expand its portfolio of logistics services to medical and pharmaceutical companies. In addition to temperature controlled transport with validated and calibrated equipment throughout Europe, we also provide storage and handling of pharmaceuticals / healthcare products in our own warehouse. This way we can offer you a complete service package of transport, storage and handling. Read more about our services in the folder. 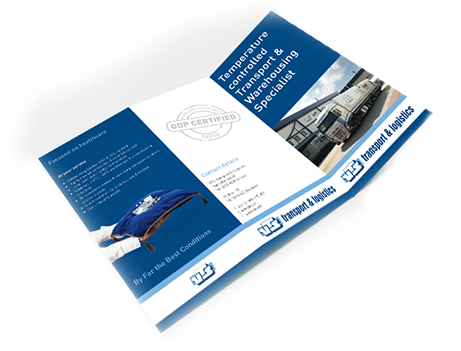 VTS is a specialist in temperature controlled transport and warehousing for pharmaceutical / healthcare products. Sign up for our monthly newsletter and stay up to date with the latest news from VTS Transport & Logistics. We respect your privacy, your personal information will never be shared with a third party.